See Understanding the Skin CSS File for more information on specific CSS file properties. 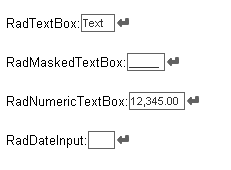 Drag a RadNumericTextBox control from the toolbox onto a new AJAX-enabled application Web form. In the Solution Explorer, create a new "Green" directory in your project. 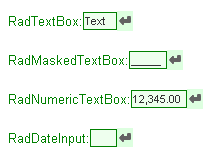 Copy the default RadNumericTextBox skin files from the installation directory to the "Green" directory; copy both the \Input directory that contains the images for this skin and the Input.Default.css file that defines the skin styles. The file path will typically be similar to this example: \Program Files\Progress\UI for ASP.NET AJAX RX YYYY\Skins\Default. 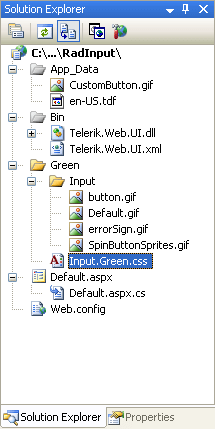 In the Solution Explorer, rename "Input.Default.css" to "Input.Green.css". 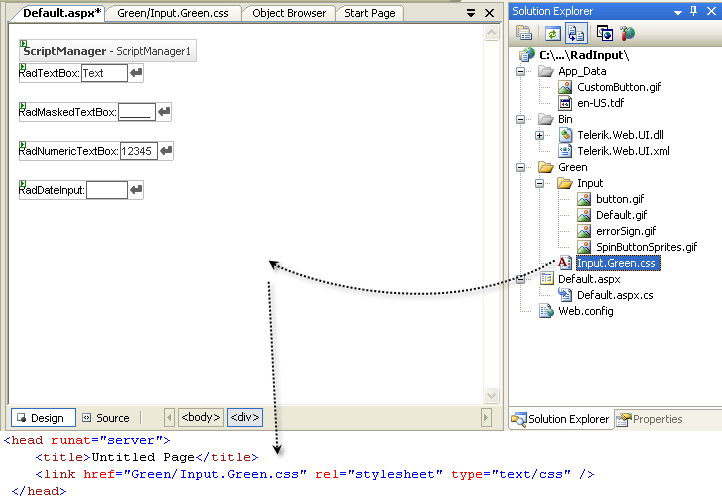 Drag the "Input.Green.Css" file from the Solution Explorer onto your Web page. 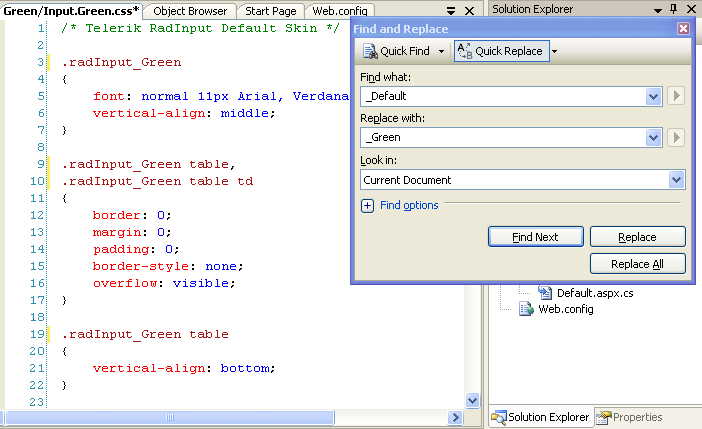 This automatically adds a reference to the page "
Change the Skin property of your four RadInput controls to "Green". Set the EnableEmbeddedSkins property of your four RadInput controls to "False". The class that controls the text area when the mouse hovers over the control is .riHover. Locate this selector, and change the border color from "#000" to "Green".